Dale’s deep faith in God extends to the courses he teaches as part of KidWorks University, which offers weekly hands-on opportunities for students in kindergarten through fifth grade to experience volunteer-led workshops focused on art, science, music, dance, creative writing and more. Dale has taught KidWorks University workshops since 2012, focusing on electronics, weather science, computer programing and woodworking. Dale begins each weekly workshop by leading the students in prayer. Our March honoree is an ideal person to teach these workshops. He’s an electrical engineer with decades of professional experience, having designed automated test equipment for hydraulic components, industrial grade battery chargers and telecommunications equipment. Dale’s workshops also strongly support KidWorks’ focus on STEM curriculum—otherwise known as the U.S. Department of Education’s program to educate students about Science, Technology, Engineering and Math. Dale’s approach to the workshops he teaches is very experiential. After a brief lesson, the students do hands-on projects. For the computer programming workshop, Dale coached the students in coding a hide-and-seek game. Other workshops have included weather science, where the students used a balloon and empty can to learn the concept of air pressure systems. Woodworking projects included all the steps to cut and assemble the pieces for a stool. “One of my biggest joys is when the students are so proud of what they’ve accomplished that they bring their projects home to share with their families,” Dale says. 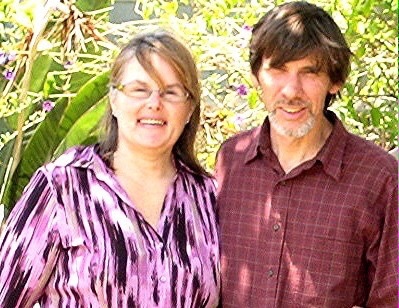 Dale and Marion have four grown children. He enjoys staying very physically active—regularly biking, hiking and running. We are deeply grateful to Dale for empowering our students through the variety of engaging workshops he teaches. He may very well be inspiring the next Thomas Edison!